Engaging the hip through traction is part of Zero Balancing. In Zero Balancing, a fulcrum is the working tool. The point of balance, created using a curved hand or fingers, or through the building of a stretch or vector held stationary, creates a space akin to the eye of a hurricane. Around this still place, offered to the body through touch, those mysterious ingredients that are a being – flesh, bone, mind, spirit – can organize themselves, often in a matter of moments. 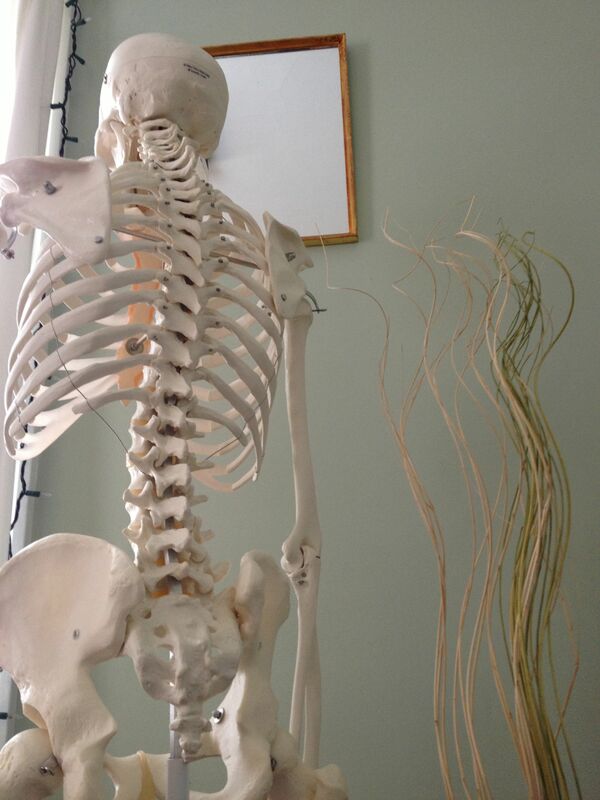 In Zero Balancing, the practitioner’s touch aims for bone tissue and connects with, but does not invade, the musculoskeletal structure. Bone tissue, with its high degree of collagen fiber makeup, actually conducts energy when compressed or stretched. Energy set in motion from deep within the bones affects not just the place touched, but the entire body-mind system. Sometimes these shifts are palpable only to the person on the table. At other times, the entire field of the room can change as a result of a well-placed fulcrum. The more one practices any body-mind system, such as Tai Chi, yoga or meditation, the more one becomes sensitive to this subtle weather.